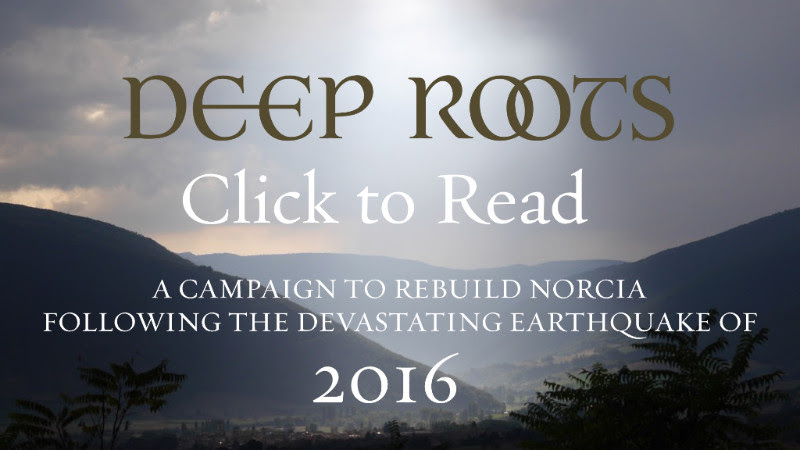 News has come from the monks of Norcia. They have a huge challenge ahead as the rebuild. Please support them. They are a rock solid, worthy cause. Some times it is hard to know if your monetary support is going to be put to good use when you send to some churchy entity. These guys are great. And they make great beer! I’ll just copy and paste. There may be some format problems, but… hey. 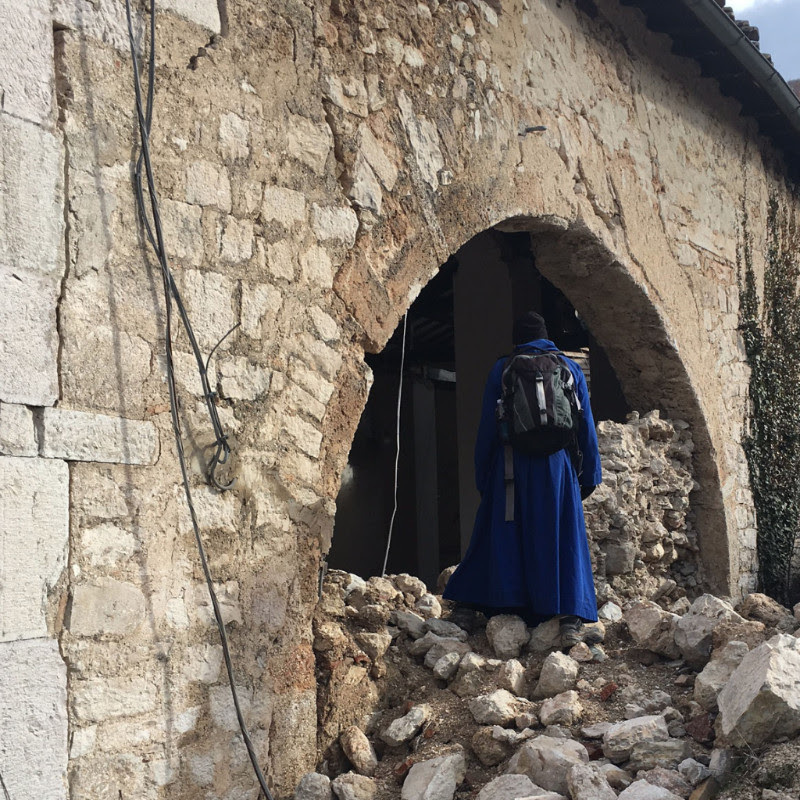 Although aftershocks continue, we are doing our best to return to our normal monastic life. As we try, we are still responding to the ever-new and evolving challenges of life in a heavily earthquake-damaged region. The difficulty of this task was epitomized this past week as we returned to one of our community’s “wilder” customs. 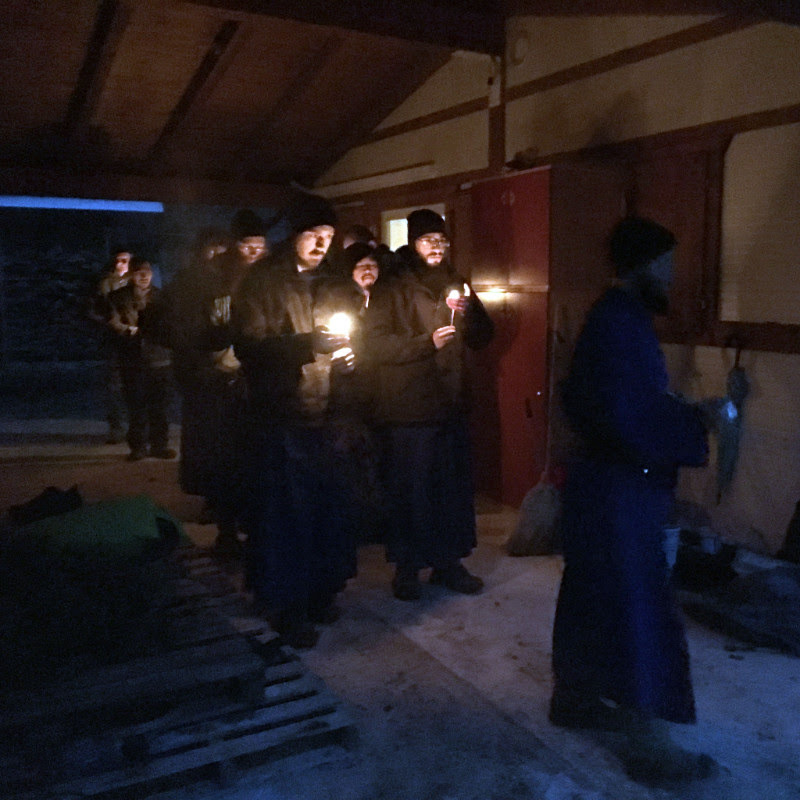 Every week, we take a three-hour hike in the mountains near the monastery. Four times a year, though, we extend that to an all-day or even overnight excursion. Last week we retraced an old favorite route of the path from Norcia to the monastery of Sant’Eutizio in Preci. St. Eutizio was a hermit and, along with St. Fiorenzio and St. Spes, educated the child St. Benedict. The walk we took was the walk our patron would have taken 15 centuries ago to build up his foundations in virtue and learning. Except for the sighting of a family of 12 wild boars — which we chased for 200 yards before we lost them in the thick woods — this normally gentle and welcoming path looks nothing like it did six months ago. 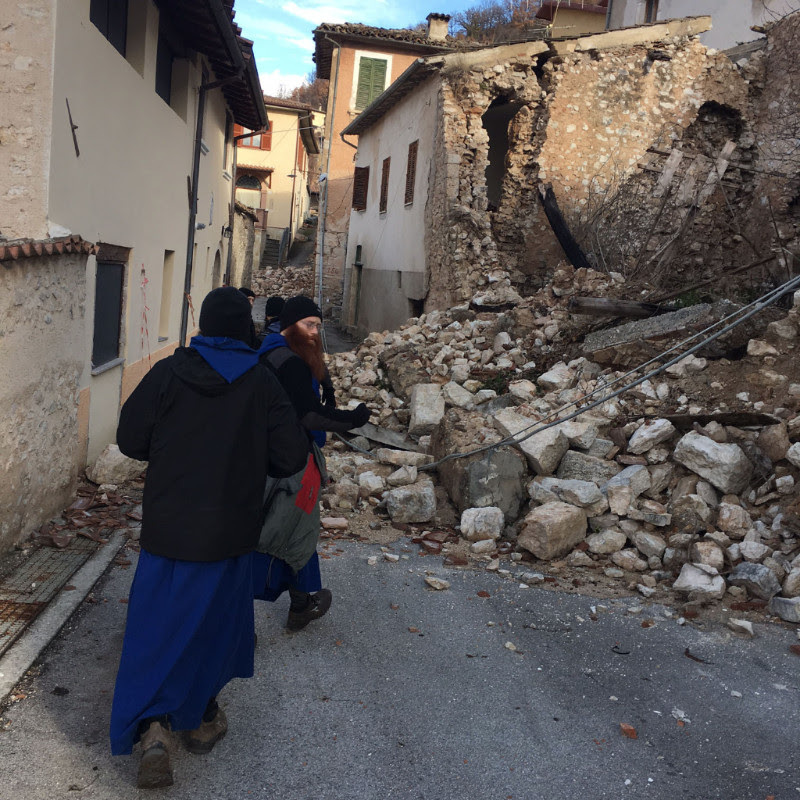 Much of the attention after the earthquakes has understandably been paid to the bigger disasters of the towns of Amatrice and Norcia, but what isn’t so often reported are the saddening blocks of tiny ruined country villages. We saw church after church lowered to the ground and house after house destroyed beyond repair in hill towns that news cameras didn’t reach. As we hiked, they seemed to all blend together into one long tragic chain. Even though lives were spared by the grace of God, the men and women of these places have no home to return to and many have no jobs to sustain them. They also must confront the question of whether to stay and wait for the rebuilding of a brand new town, or settle with friends and family in better conditions. 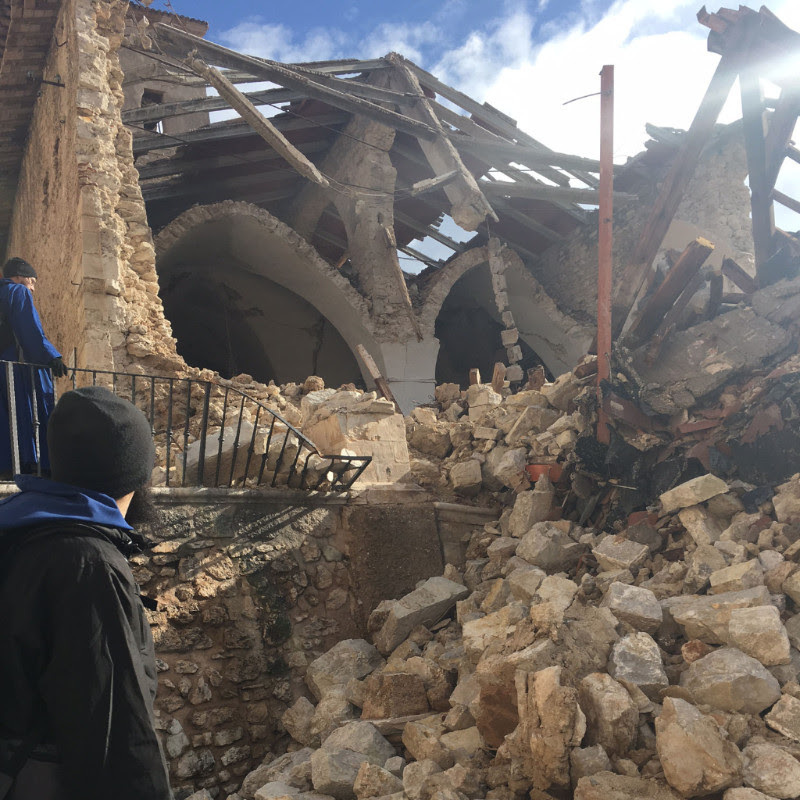 Uniting our prayers to those suffering, we began earlier this month a new tradition of a community rosary procession with a statue of Our Lady, which we pulled from the rubble of our monastery in town. Painstakingly repaired by one of the novices with glue and plaster, we wandered with her through the hillside and up and down the mountain paths asking her to intercede so that new life will spring up in these millennia-old towns and villages. Quia non est impossibile apud Deum. P.S. We’ve been responding to some of you who have kindly given gifts as part of our rebuilding efforts. Some of you have wondered why these letters have been postmarked from within the U.S. To save money on postage, which from Italy can be very expensive, we’ve managed to find willing souls to take them in bulk from our monastery and mail them for us from within the United States. Thank you again for your prayers and support! This entry was posted in Brick by Brick and tagged Benedictine Monks, Norcia. Bookmark the permalink. God bless the monks, but, may I ask, SHOULD they rebuild there? Or are they better off, maybe, moving? I know nothing about the situation, so I ask. It also seems that the monks still want to maintain a presence in Norcia when tourists and pilgrims return in numbers. I haven’t been there, but there’s only one birthplace of St Benedict. If the Basilica is rebuilt there need to be priests there. 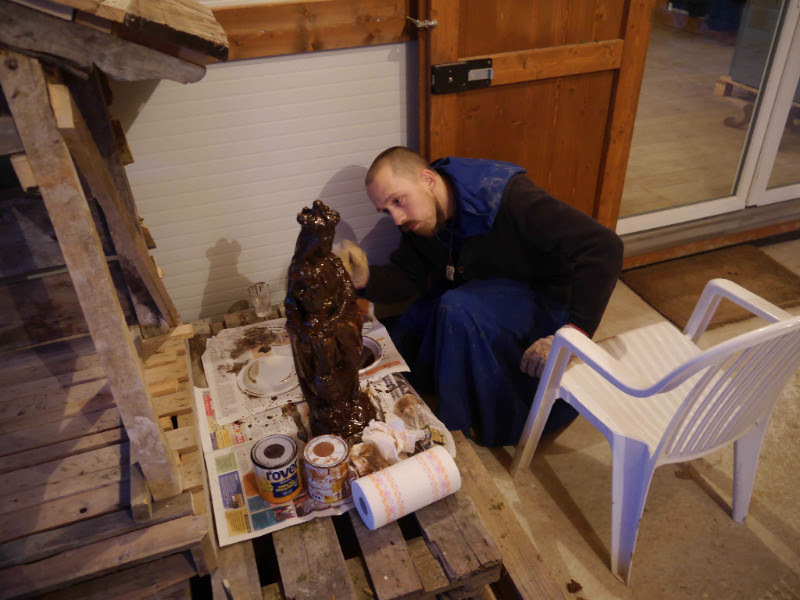 I think I recognize that novice repairing the statue of Our Lady! These efforts will not be wasted. “Uniting our prayers to those suffering . . . [we ask The Virgin] to intercede so that new life will spring up in these millennia-old towns and villages. Quia non est impossibile apud Deum.” I love it! [cf.Dr. Peter’s question:] The question of whether or not to rebuild is an interesting one. In context, the Monks of Norcia built on that location for good reason (mentioned above by Semper Gumby). 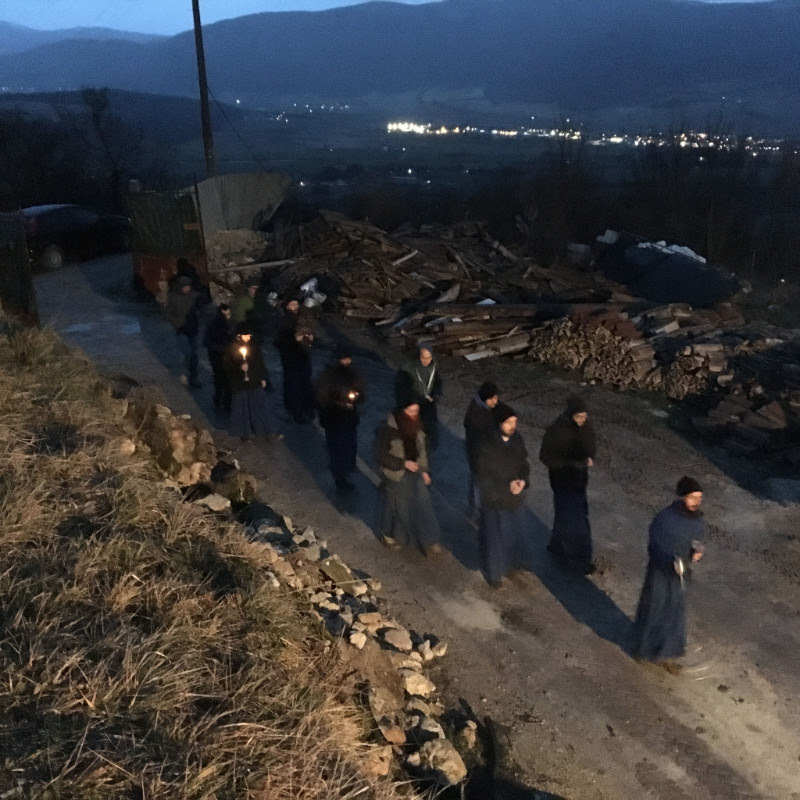 To rebuild in the face of suffering and loss, while facing the reality of similar future disaster and loss, is to “walk” with the people in that region who face the same suffering. There is something beautiful about this, since many of these monks are priests who provide the sacraments to the citizens of Norcia (as well as the comfort of making the Church visibly present to them). The beauty of God is self-evident, to be sure. It is nowhere more present than where Catholic priests minister Penance and offer the sacrifice of the Mass, especially where suffering abounds. Regarding the question of rebuilding or finding a new location: I think that rebuilding is to “walk” with the others who live in that region. As well as the other reasons that Semper Gumby gives above. As St. Paul write to the Romans, the presence of God is self-evident. It is nowhere more evident than where the priest confers the mercy of God in Penance, and also offers the sacrifice of the Mass. The excerpt from Fr. Nivakoff’s email in Lucas Whittaker’s comment brings to mind several posts from the monk’s website. One post dated last Oct. 22, a week before the second earthquake that destroyed the Basilica, describes Cdl. Sarah’s visit to Norcia. The monks’ library was blessed by Cdl. Ratzinger and as Pope he donated many books to the monastery. (Nov. 2016 post). Semper Gumby: Thanly you! My original post was yet more articulate, but somehow, after pressing “Post”, my writing disappeared. Gone! Still, suffering and the Church are subjects close to my heart.